"Awesome toothbrush !!! Great Price for what it is... THE APP IS COOL TOO"
Brushing your teeth may seem like a small thing, but it has a surprisingly large impact on our everyday lives. Good brushing habits don't only produce a healthier smile, they help us face the world with confidence. How can we improve the health of our teeth and create a beautiful, confident smile? Let the Mi Electric Toothbrush provide you with a brand new solution! A great electric toothbrush has not only high-frequency vibration, but also exceptional power. The high-efficiency magnetic levitation sonic motor developed by German and Japanese experts vibrates over 31,000 times/minute and has a torque of over 230gf.cm*. This means that power not only remains concentrated in its high-frequency vibrations, but also that it's more efficiently transfered directly to the brush head. Even when it's up against your teeth, the brush head maintains its power, and the water and toothpaste bubbles in your mouth form tiny pulses that clean powerfully. The brush fully penetrates the gaps between teeth, removing plaque and achieving a deeper clean than a manual toothbrush alone. Although it looks unremarkable, this small brush head is completely different from ordinary brush heads. 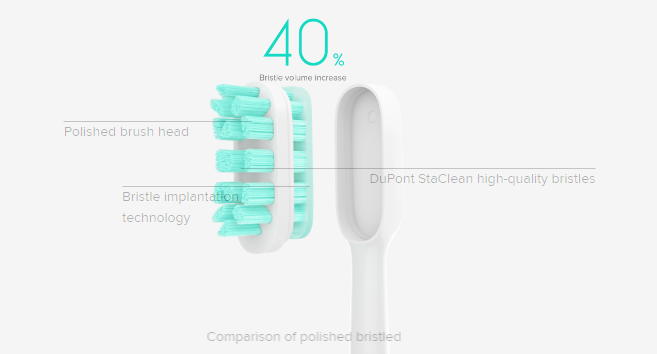 Its brush head uses anti-corrosion, metal-free high-density bristle technology. The bottoms of the bristles are joined together using heat, then firmly affixed to the upper portion of the brush head. Unlike ordinary brush heads, there is no danger of metal corrosion or dirt getting trapped between the grooves of metal plating, making this brush healthier and more environmentally friendly. It uses high-quality soft bristles created by the American company DuPont, and its high-density bristle technology allows for bristles that are 40% denser. * Each filament undergoes a polishing process to create bristles that are smooth and round. 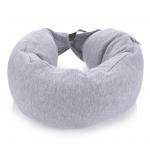 This ensures that they don't irritate gums or scratch the surface of the teeth. * Compared to other brush heads with the same surface area, anti-corrosion, metal-free bristles have a density that is approximately 40% higher than metal bristles. 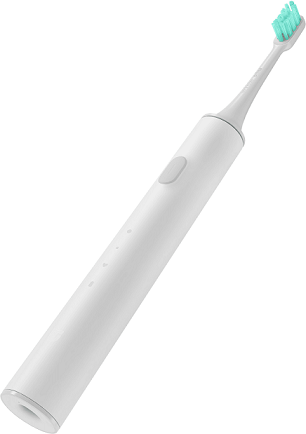 The on/off button on the Mi Electric Toothbrush can be used to switch between Standard mode, Gentle mode and Customized. 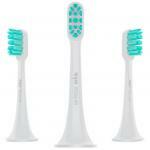 Users can choose the brush mode that best suits their daily teeth cleaning needs. Our customization feature allows you to set your own brush time, brush strength, and a variety of oral care functions best suited to your diet and daily brushing habits. Through the settings, you can also upgrade your modes and features to meet an even larger variety of teeth cleaning needs. * When you first select "customized," it will automatically go into novice mode. After brushing a few times, you will be able to switch to other modes. Please see the user manual for details. How do you know if you're brushing correctly or covering all areas equally? 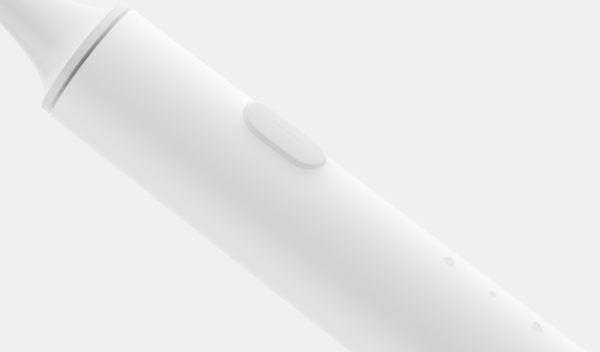 The Mi Electric Toothbrush will help you find out. Its built-in, high-precision acceleration sensor can sense your brush position. 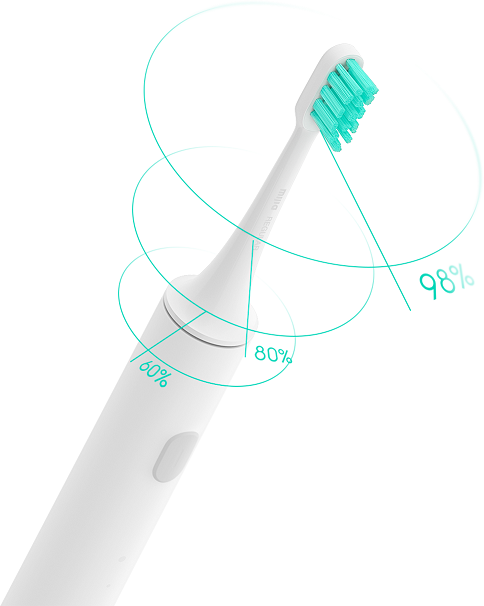 It monitors 6 different zones, recording which zone you're in and how long you spend there every time you brush. * When you connect to the app via Bluetooth, you can also see the score you're given each time you brush. The app records statistics like duration, coverage, and uniformity, and you can view and share your brushing report on a daily, weekly, or monthly basis, allowing you to constantly monitor your dental health. * While brushing, we recommend you move the brush head at a slow and even pace. This is the best way to clean and massage the teeth. Every 30 seconds, you will be given a reminder to change positions. There's nothing worse than finding your electric toothbrush dead after a couple of days or having the battery die while brushing. It's inconvenient and annoying. 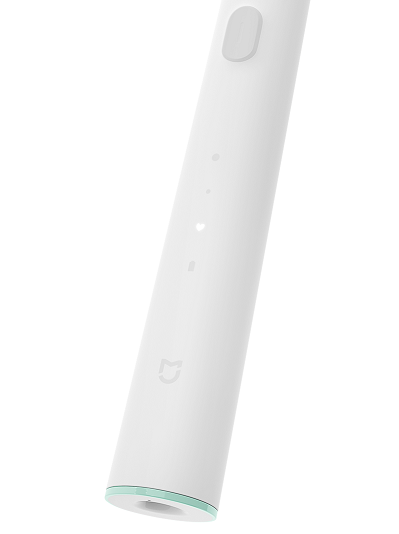 The Mi Electric Toothbrush built-in 700mAh lithium battery, when compared with NiMH batteries, has a long operating life that suffers no memory degradation. When starting fully charged, a single charge can last 18 days. * in addition, you can monitor the power level using the app on your smartphone, making sure that you're never inconvenienced by the toothbrush suddenly or unexpectedly dying. *18-day battery life is based on a 2 minute brushing time using Standard mode twice a day. Using the customization feature or brushing at different frequencies will have an effect on the estimated battery life. 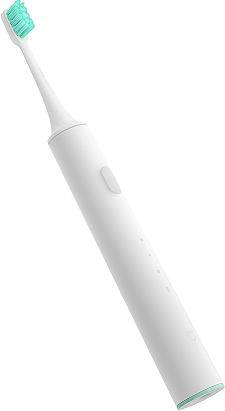 The Mi Electric Toothbrush universal USB port allows you to connect directly to a variety of charging devices including portable chargers or computers. 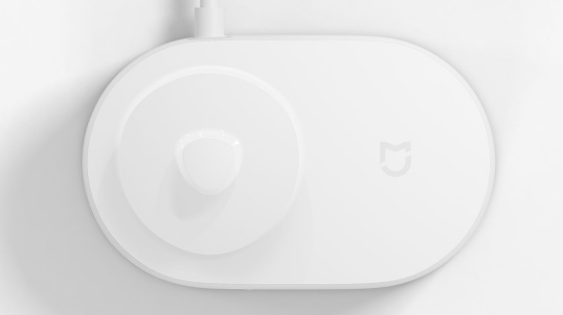 At the same time, the charging dock can automatically detect whether or not the Mi Electric Toothbrush is present, at which point it charges at full power. If a foreign metal object such as a ring or coin is detected, it automatically enters low-power mode to prevent accidental overheating which could lead to injury if the device is touched. This automatic feature is designed to help ensure your safety. The use of a multiple injection molding process ensures that the every part of the body is joined with a "sealed" connection. This creates a seamless exterior whose body and base both have an IPX7 water resistance rating. 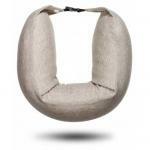 * The body has a matte white surface with added texture and friction. This creates a simple and clean exterior, combining convenience and elegance. A beautiful and intelligent home item like this, combined with a clean and simple bathroom aesthetic, is the perfect complement to a healthy lifestyle. *IPX7 waterproofing standard refers to equipment that can be submersed in water 1 meter deep for 30 minutes without suffering water damage. When bathing or showering, however, if high water temperatures generate a large amount of steam, small gas molecules may be able to penetrate the toothbrush body. Therefore, please do not use while bathing or showering. When it comes to user safety, we've taken the tiniest details into consideration. 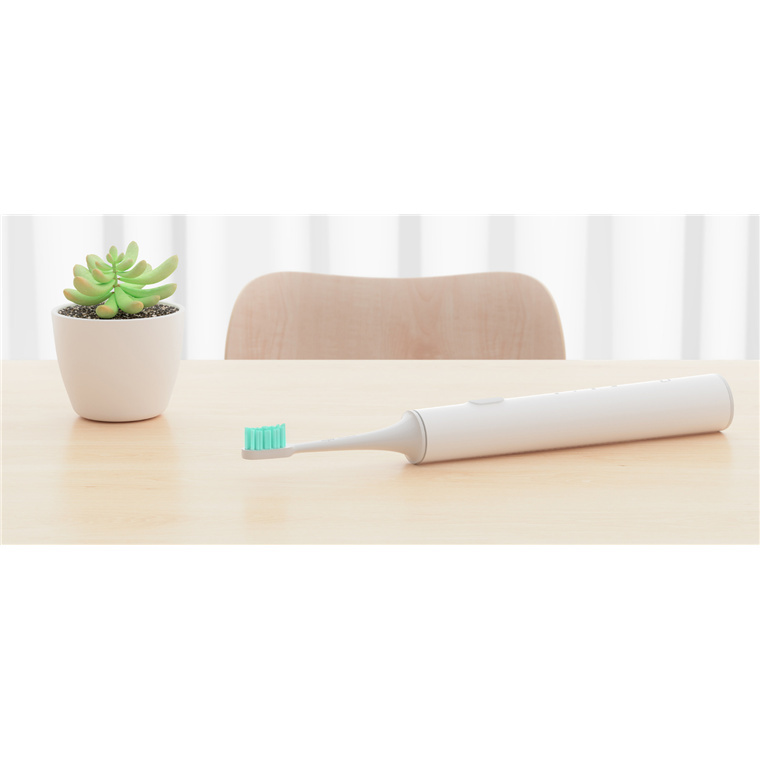 In order to prevent the toothbrush slipping or falling due to wet hands while brushing, the Mi Electric Toothbrush has added long, slip resistant bumps to the back of the handle to ensure your safety. 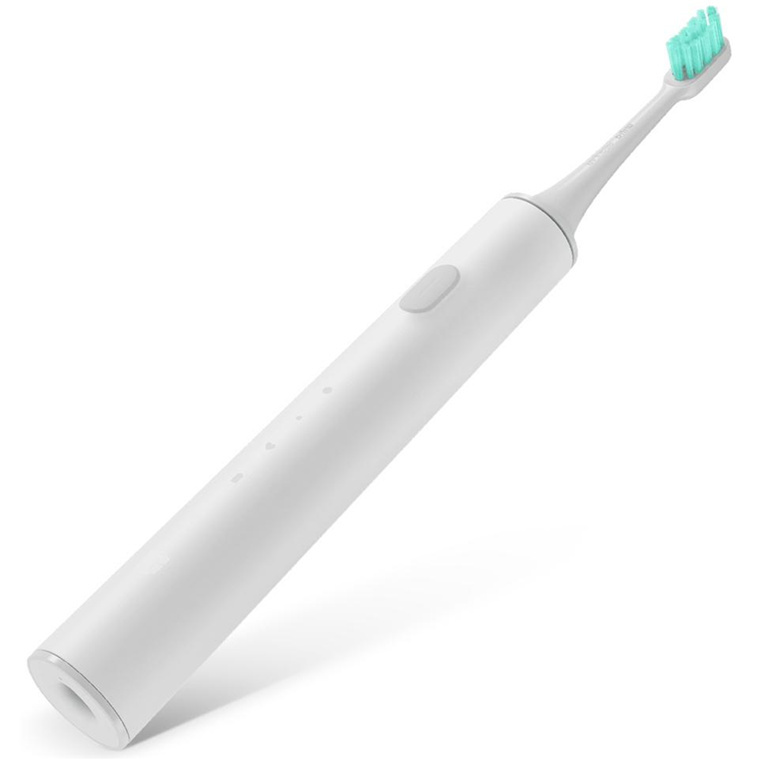 The Mi Electric Toothbrush on/off button features a single-body silicone waterproof design. An entirely seamless body prevents toothpaste from adhering to the sides, which means that even after extended use, the button will never stick. 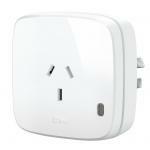 The Mi Electric Toothbrush charging base it Is designed to allow insertion in 3 different directions with a 120° limit. After brushing your teeth, you can put the toothbrush back on the charging dock however you want. 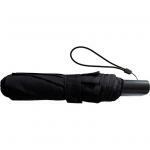 Even if it's inserted at an angle or not placed securely, it's no problem. 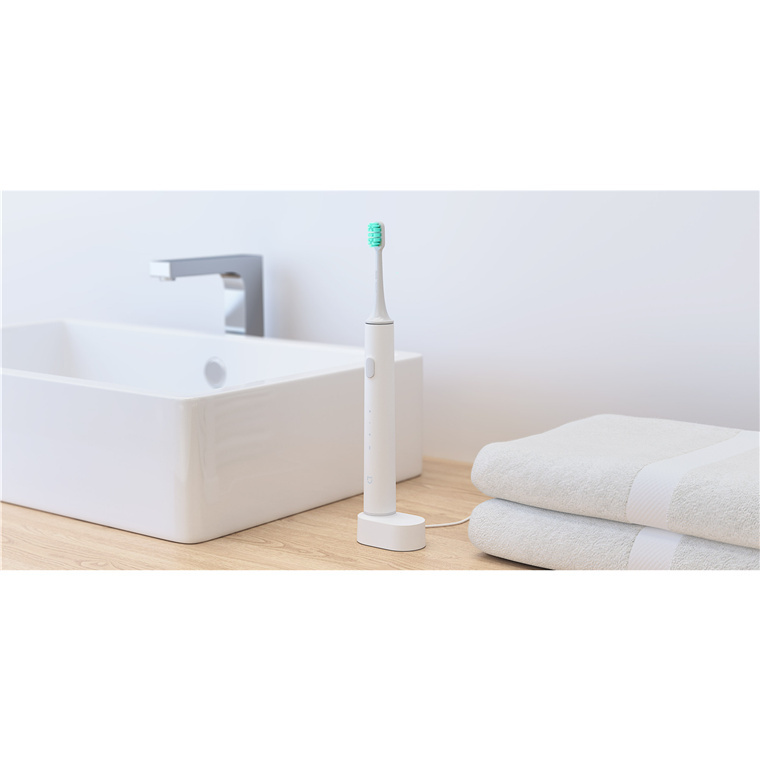 The toothbrush will automatically move into its correct position on the charging dock. What do you do when you take the wrong toothbrush by mistake? 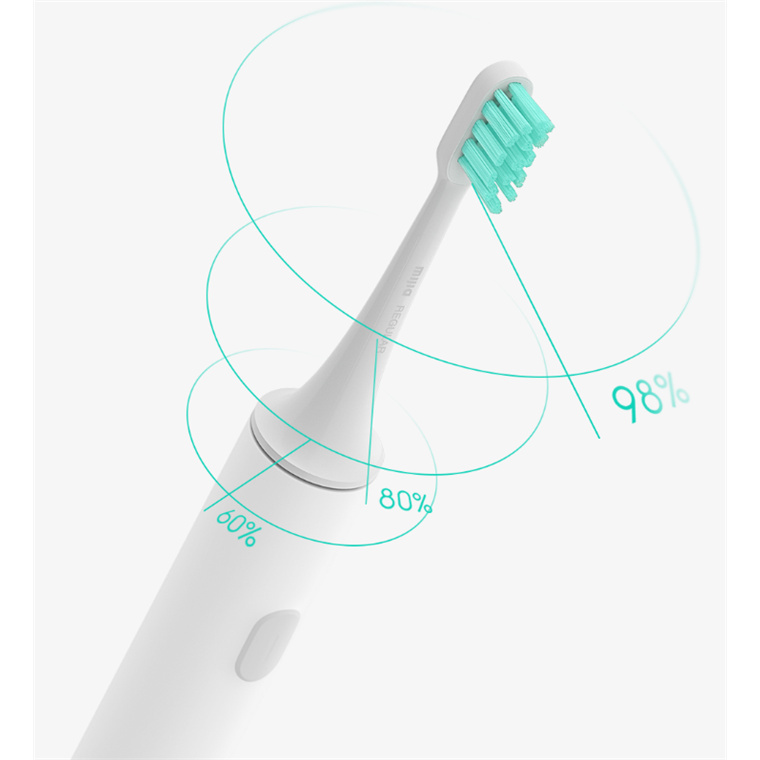 Taking the real demands of users into consideration, the Mi Electric Toothbrush has added an easy-to-change colored ring at the bottom of every brush. This way, everyone in the family gets a different color, and you never have to worry about mixing up your brushes.